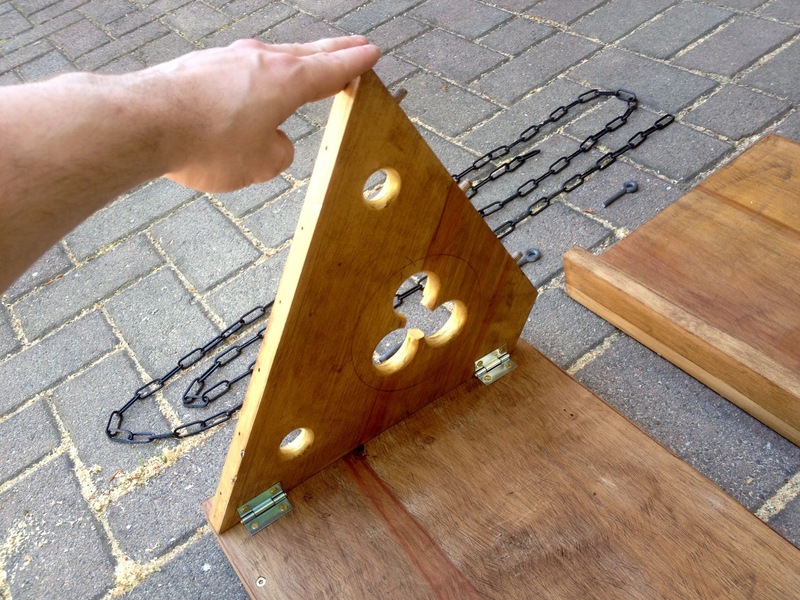 During the weekends at the Batavia shipyard Paper Unicorn’s bookbinder Astrid spoke about the idea of making a portable chained library. 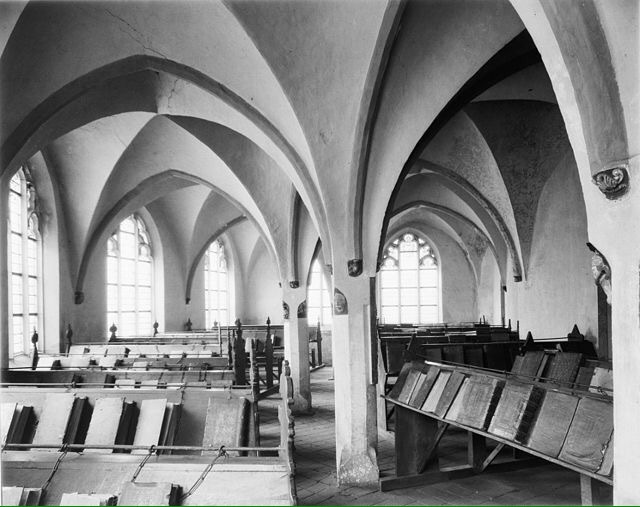 One of three chained libraries still in existence is located at the st. Walpurgis Church in Zutphen. The oldest public library in the Netherlands. To avoid theft, the books are secured to the desks by chains. The idea ligered in the back of my mind, and returned when I came across this blog by Ercc Glaison. In a 3-part series he makes a table top book stand and the books too go along with it. Because it’s always better to steal a good idea than re-invent the wheel (better known as ‘inspiration’), I followed his basic design. 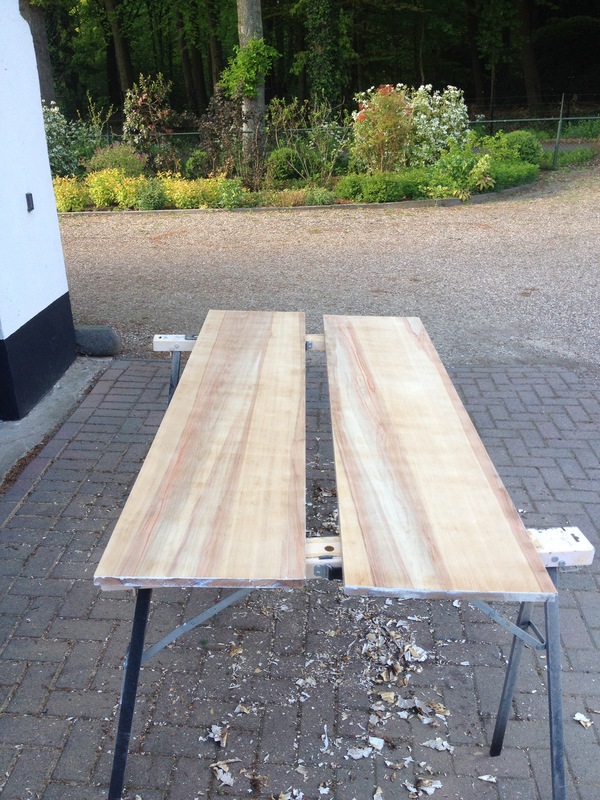 So last friday I stripped the boards of their paint and started cutting. No real plans, just go along with what the boards tell me. A length of 1 meter seems fine, it will fit most of the tables at the castles and events we visit. Longer is impractical for transport, shorter makes them too small to hold the books. 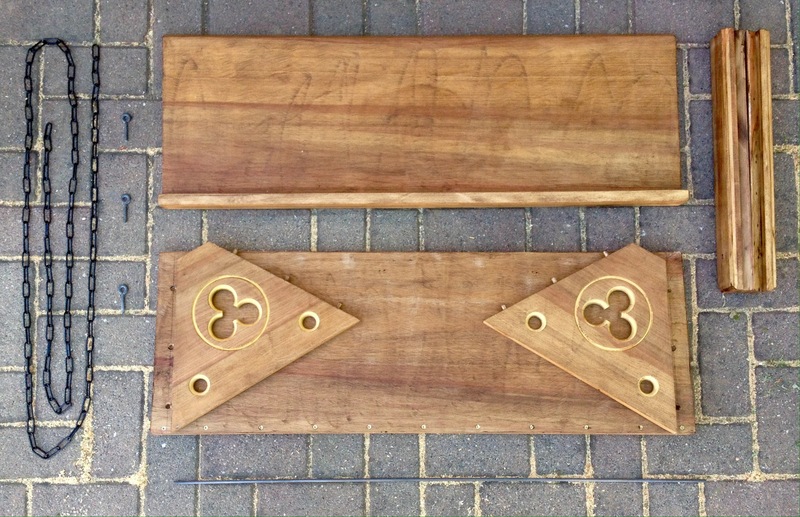 The endboard triangles are cut at 60 degrees. In the middle a trefold clover, just for decoration. Inspired by some pictorial sources. Unlike Ercc I didn’t make the chain myself. Perhaps in the future, but for now we first try a simple decorative chain from the hardware store. To keep it a bit more transport friendly the library is foldable. The whole chest was finished with a simple brown beeswax. 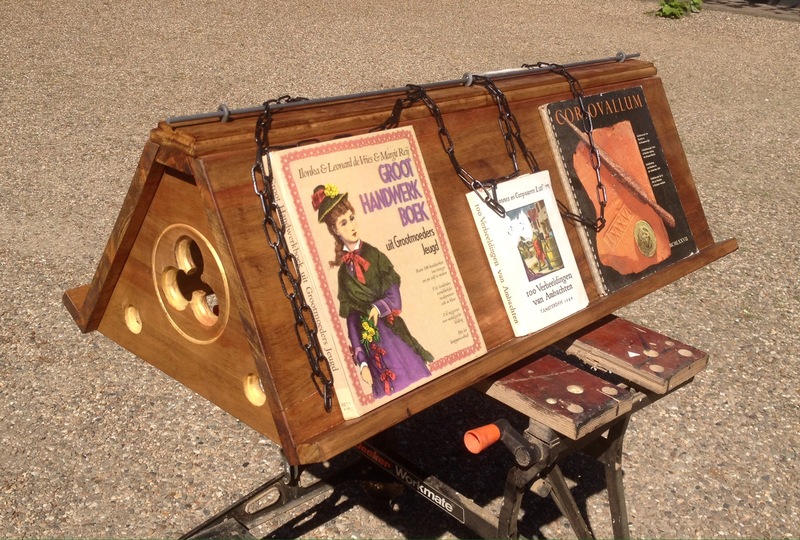 This entry was posted in Books, History, Projects, Re-enactment, Uncategorized and tagged Books, History, Inspiration, Library, Living history, Re-enactment, Reading, Recycling, Research, Woodworking. Bookmark the permalink. I’ve often wondered whether stealing a music dictionary was a positive or negative quality in those music students.